There’s a saying that we all have a book inside us. It’s a lie. Just ask any X-ray technician. Now, if that saying has motivated you to actually sit down and start writing your book (or making your film or building your prototype or starting your company) all well and good, no harm done. But if you’ve been telling it to yourself for years, saying it’s just a matter of time and space, and ‘one day’ you’ll get round to writing it, then stop right now. It’s a dangerous fantasy that’s blocking your creativity. It’s dangerous because it suggests that the essence of creativity lies in an intangible idea – which is somehow already safe and sound inside us, with no use-by date. Many of us associate the word ‘creativity’ with lateral thinking, brainstorming, and thinking ‘outside the box’. But as any real writer will tell you, there’s a lot more to it than that. Things like pens and paper, laptops and typewriters, dedication, habit, discipline and frustration. (Poverty is optional.) No wonder Kingsley Amis said ‘the art of writing is the art of applying the seat of the pants to the seat of the chair’. You will either write your book or you won’t. Until you do, it doesn’t exist. The key point here is that Michelangelo used his vision as a spur to action. It guided his eye, his hand, his whole body as he leaned in to get just the right weight behind the hammer. Each chip of marble that landed at his feet was witness to a hammer tap – a definite action he’d taken towards realizing his vision. Even before he raised his hammer, Michelangelo located the phantom shape inside a specific stone out there in the world – not inside himself. He didn’t run around for years doing other stuff, telling himself his statues were safe and sound inside him, and ‘one day’ he’d get round to taking sculpture classes. He began with a lump of rock and usually a commission. Both of them supplied by a rich, powerful and very demanding client – just in case he needed any extra incentive to put the hours in. I’ve deliberately used writing and sculpture as examples, because these are creative pursuits that are easy to romanticize. But even in the novelist’s garret and the sculptor’s studio, creativity is a business of toil and struggle. Every time we tell ourselves there’s a book already inside us, we’re taking someone else’s hard work for granted. they misdefine ‘creativity’ itself. Too often, for them, ‘creativity’ means having great, original ideas. Moreover, the ideas are often judged more by their novelty than by their potential usefulness, either to consumers or to the company. A powerful new idea can kick around unused in a company for years, not because the merits are not recognized but because nobody has assumed the responsibility for converting it from words into action. What is often lacking is not creativity in the idea-creating sense but innovation in the action-producing sense, i.e., putting ideas to work. the world isn’t set up to accommodate every new idea that comes along. As a matter of fact, there’s a lot of competition out there. If you want your idea to succeed, you’ll have to take the offensive. So, you become a Warrior and take your idea into action. Creative vision and flashes of inspiration are all very well, but they are worse than useless unless you actually do something with your ideas. We all do plenty of lateral thinking every night, but nothing much comes of it. What separates real creators from daydreaming amateurs is their willingness to roll up their sleeves and get on with the hard work of creativity. So we’ve replaced ‘lateral thinking’ with Lateral Action. And if you stay with us on this journey, we’ll offer you some solid practical advice to help you translate your own creative visions into reality. Another reason we’re emphasizing action is that things have changed since the time of Michelangelo – even since the heyday of Amis and Levitt. Great artists have always been good at getting things done. Some of them, such as Shakespeare and Hogarth, were also excellent businessmen and entrepreneurs. But these days there’s a lot more pressure on artists and creatives to be businesslike and professional, not just in their working habits but in how they (whisper it) sell themselves and their work. Marla didn’t get where she is by just sitting around daydreaming. That’s often the first stage, but it’s not long before she starts sketching, writing, researching, planning and making phone calls. She’s a visionary who makes things happen, one of the classic definitions of an entrepreneur. On a bigger scale, businesses are waking up to the fact that creativity is no longer a nice idea but an essential source of competitive advantage. 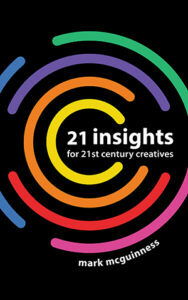 In case you haven’t heard, the creative economy is coming. And as Lou is finding out, routine ‘productivity’ is no longer enough for economic survival, let alone a comfortable and enjoyable life. But those are stories for another time. Unlike your book, which may well be a case of now or never. Do you have a creative dream you’ve been meaning to start work on ‘one day’? What would be the very first – maybe very small – step that would get it under way? What you say is obviously true. And this ‘obvious-ness’ is part of the problem. Ask someone and they will say, ‘yeah! of course! you need to take action’. But there are so many projects that are “in” so many people without any chance of action on any of them. 12 years pass you by and you are still planning the perfect business, that perfect vacation, that just-right moment to reaffirm your love with your family and what not. Like that Muslim merchant in The Alchemist who rather would plan his pilgrimage than actually do it. Creativity is all good but action takes the cake, as you have pointed out here. I am a writer (a print published one ahem ahem) and writing under a set deadline and set topic is the best way to ‘get results’. I remember enjoying the process less, but I had (and still have) something to show for it. There is no point in thinking that ‘I could have if I would have’. As a rule, you can only do what you have already done. This rule has served me well and has checked me quite often before. I suggest people here use it as well (just leave a credit line somewhere in your hypothalemus or something 🙂 ). A good plan executed today is far, far better than the perfect plan executed one week from now. All you say rings true, friend, rings true. Wonderful post. I’ve found that the behaviors that allow me to look at the world creatively (playfulness, wide open thinking, foolishness, etc.) are just the opposite of the ones that help me get my ideas into action (narrow focus, disciplined thinking, relentless persistence). Momekh – ‘What you say is obviously true. And this ‘obvious-ness’ is part of the problem.’ – Exactly! It’s uncommon common sense. Roger – Yes, those two opposing impulses can be antagonistic but they can also result in a very creative (and productive) tension. 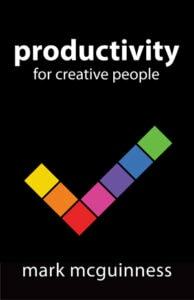 Thanks for the Levitt quotes they made me understand that productivity and originality are both synonyms for creativity yet as Levitt wrote we’ve given much more power to novelty. The lack of productive and strategic action is one thing that keeps us coaches in business. It’s truly remarkable how many talented individuals hesitate to act until they decide to get serious by paying an accountability partner to hold them to what they say is important. Great post, and I love what you are doing at Lateral Action. I agree that holding a bunch of creative ideas can be worse than not having any. (Though I can’t imagine not having any ideas!) I have likened this to being like Santa, walking around all his life with his gift bag over his shoulder. Being full of creative ideas is like that – you’re carrying the weight of your brilliance and it can be a heavy load if you’re not moving your ideas forward. Also, I have experienced many ideas like Michelangelo – the whole thing appears in the mind’s eye. But then, the work of bringing it forth. I see many creative people struggle with discernment – which ideas are worth choosing to engage with? Which ideas will be fruitful? The big challenge is to know which ideas are worth pursuing and following them past the first, giddy flush of inspiration. We’re all so brilliant in our minds! I think the creative process of bringing something to light is largely a journey of self-discovery and growth. I’ve seen my clients learn enormous and valuable lessons about themselves when they engage in a project from start to finish. Creating something really calls us to be our best selves. Now, back to writing my novel! First, I love all you are talking about here. And here you come with another smart motivation. Thank you! You just clarified something for me. Others are often dismissive of my creative and innovative ideas. BUT…. 1) A regional Jobs Fair for businesses and job seekers who have complained for years that there are no staff/no jobs but no one did anything about it! 45 businesses had over 600 jobs, nearly 700 job seekers turned up and more than half have been placed. An idea in action. 2) A blog for parents on careers information (which this week has been taken up by the state dept of education because it is seen as an innovative way to connect with parents) Parents are still number 1 influencers of career choices who feel inadequate to give advice! 3) Contracted writer for a new website producing four articles a month. How did they happen? I worked for them! A lot of time, effort and energy went into bringing those concepts and ideas into focus and life. Thank you for reminding me why I deserve the accolades. I am really enjoying Lateral Action! I really think this is a great start. And I really enjoy seeing where everyone is posting from and a little about them through their own blogs. It seems like we all have goals and minded points to what our desires are and how we hope to acheive them. I hope to learn more and put my thoughts and ideas into action. I don’t think I personally have a problem taking action on my ideas. My biggest problem is deciding which ideas to act on first. I’ve got so many ideas, I’m not sure whether I should do A, B, or Z first. On the other hand, I have a lot of friends who I would call “Creative” people… as they are good at coming up with useful ideas. But where they fall apart is in the follow through. They come up with the idea but don’t do anything to make it happen. Then they sit around wondering why no one is paying them for their great ideas. They don’t realize that thinking up the idea is only the beginning. Once you act on your ideas… that is what truely makes you valuable! There is another phase for out-of-control creatives, and that is having several connected projects under way, constantly entering new learning curves, and forging ahead daily in the absence of traditional markers that help you know where you’re at in the timeline. I think this is one of the skills or brain activities that come more naturally to digital natives, and for digital immigrants (everyone born before about 1992), the sense of overwhelm is much more of a continual presence. The best advice I know of for this condition is: Breathe. Smile. Relax your shoulders. Cool to meet all of you. Every time we tell ourselves there’s a book already inside us, we’re taking someone else’s hard work for granted. Another terrific post, I’m loving the way this site is shaping up! Thanks for sharing your experiences everyone, it’s great to hear about so much creative activity. Tom – yes, social commitment is a powerful motivator. It’s one of the reasons I’ve posted my new year’s resolutions on my coaching blog the last couple of years. Cynthia, Darren – Yes, evaluating ideas is another (ahem) critical skill for creative people, which we’ll be looking at later on. I resonate most with Cynthia and Darren. These ideas can be a heavy burden. I’m in my early 20s and feel like it’s especially hard now. Without stability in life, and without some of the skills or accountability structures (or funds!) to follow ideas through, a lot of good ones have to be left behind. It’s a painful for me to do, to drop my ideas, my babies, by the wayside. But I’m not looking for good ideas right, I’m looking for one or two great ones. Joe – ‘But I’m not looking for good ideas right, I’m looking for one or two great ones.’ – That’s the spirit! I usually have more ideas than I can physically execute, I find it helps to capture them in a folder, which gets them off my mind and means they’ll be waiting for me if/when I come back to them with more time and resources. Excellent post Mark and I love Lateral Action. Great title and sums up the dichotomy brilliantly. I was challanged on a defintion a couple of weeks ago, the person indicated that I had implied creativity is purely a right brain directed pursuit…. It is tough for some people to understand how the left brain is absolutely vital is terms of evaluating and measuring your ideas but also to enable realisation. I agree (of course) with Roger that is the other qualitites that allow creatives to bring deas to fruiton. Ha ha. I wrote the book, and then I spent just as long editing it down to something readable – but then I didn’t get past that. There’s three stages really, idea, make the creative idea a reality, then to market, to market. Guess I should actually start trying to sell it hey! Thanks Deb, yes you need the creative tension between both sides. Seamus – sounds like it’s time for action! however we can’t deny that poverty ( not necessarily financial poverty ) has given us some of the greatest works of arts ( check tolstoi , dostoievski , and others , I don’t know art but I’m sure there are some great painters that had various issues as well ) . I’m still a dreamer … I still believe that great works of art come at a flash of pure genius . and pain , of various type , seems to be , in most cases , a must . but I also split this area in two parts : good and great . great requires genius … good requires discipline , hard work and such . I agree completely that from great pain and ‘poverty’ often times spring the best art! Thanks again for sharing your thoughts. I think on this occasion we may have to agree to disagree about a few things … Tolstoy, for example, was a rich and privileged aristocrat. …Common sense afterall, isn’t really that common!